Want to meet your neighbors and support local business? 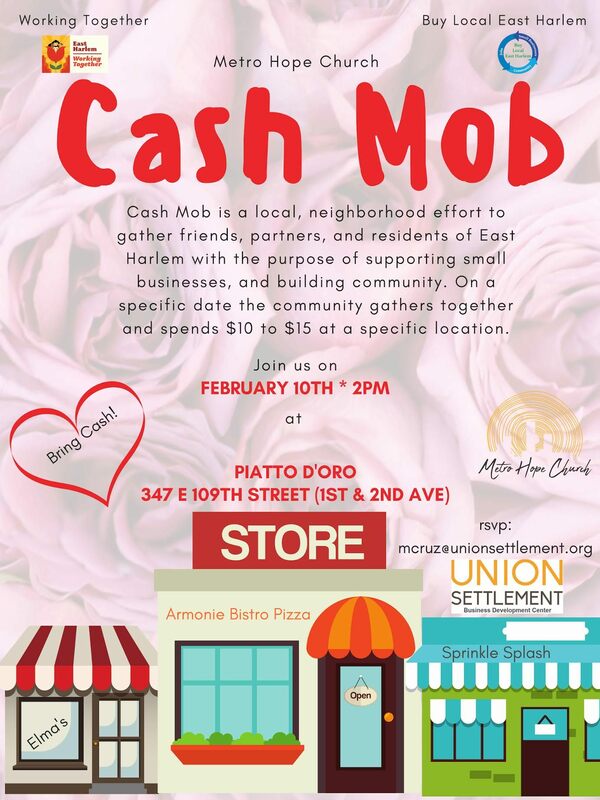 Buy Local East Harlem’s + Metro Hope Church = #CashMob! Next up ~ February 10th at 2pm, meet-up at Piatto D’Oro, 347 East 109th Street between First and Second Avenues.